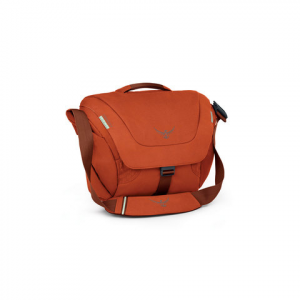 The Osprey Flapjack Courier is the perfect on-the-go messenger. Easily go from work to drinks with this low-profile design from Osprey. Functional yet stylish, The Flapjack can fit all of your necessities, with ample storage space for your laptop, tablet, and documents. Multiple pockets, and sleeves for your goodies keep you organized thanks to the Flapjack Courier. Reflective details keep you safe if you decide to commute to work by bike.